Motopark, Canada’s premiere Training, Practice and Racing facility, has announced the programs it will offer the Motocross, Mountain Bike and BMX community for 2018. 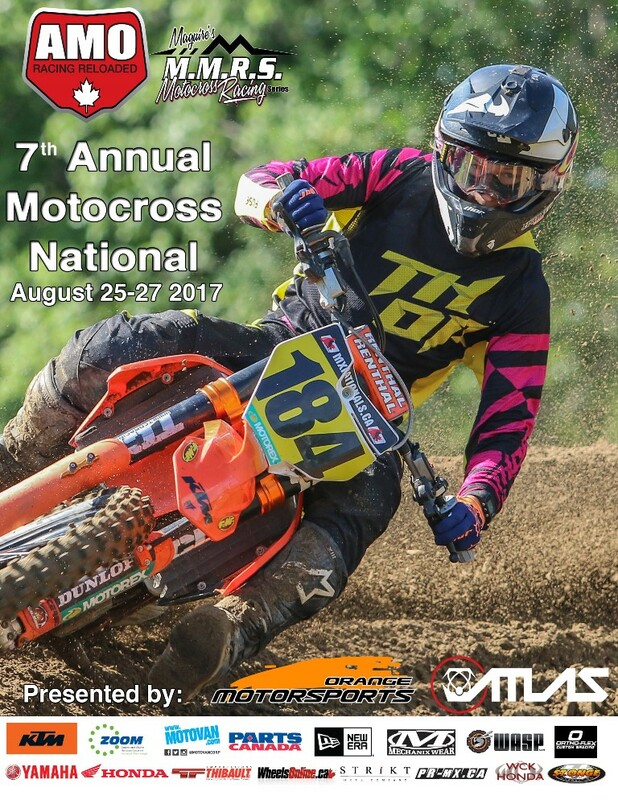 EVENTS—The Motopark Cup races will return for the 6th year in 2018. May 19 & 20 and June 30 & July 1 are the dates for these events which have grown to become two of the most prestigious events in Canadian Motocross. Motopark plans on these events being even bigger and better in 2018. The 2nd annual Vet National returns in 2018. It marks our 46th year of operation and we will be celebrating our anniversary with a great pot luck dinner. A number of special guests will be in attendance this year and you know that Motopark will provide a great event for our Veteran Motocross riders. The date is yet to be determined and will be announced soon. Motopark also sets a few weekends a year aside for various groups and associations including AMO/MMRS, TVR and the Steel City Riders. MOUNTAIN BIKE/BMX PROGRAM—New for 2018 will be our programs for Mountain Bikes and BMX. The trails at Motopark will be closed to Motor Vehicles beginning in 2018. They are being revamped to accommodate events and riding for Mountain Bikes. A new race track for BMX bikes will be built as well. Updates on our programs for 2018 will be posted on our website at www.motoparkracing.com early in the new year. MP CAMPS—Our popular summer camps return with 7 dates in July and August in 2017. Last years camps saw record attendance from across Canada, the U. S. and other Countries. Back for 2018 are special camps for Vet riders. A 2 day camp will be held June 14 & 15 with a one day camp taking place September 28, the day before our Vet National. MPA ACADEMY— An adjunct to our popular summer camps is the MPA Academy. Academy students undergo an intense program of off and on bike training preparing them for the top levels of their racing class. Academy students are taught how to “Ride, Train, Eat and Think to Win”. FORT MOTO—2018 will see continued growth in our Paintball operation here at Motopark. A new field was opened in 2017 to great acclaim and we will be expanding on this in 2018. PRO-SHOP/RACE PREP—Our renovated shop area is operated by Davin Grose and his company motomech.ca Davin and his staff can take your bike to the next level in performance and handle all your major maintenance requirements. He also stocks a wide range of tires, tubes, lubricants and parts. Our merchandise area at registration in the Off Road Cafe will provide you with a good array of product from companies like New Era, Oakley, Atlas Brace and Matrix Concepts. RENTALS & DAY TRAINING—Motopark will continue to offer Motocross and Trail bikes for hourly and daily rental in 2018. Day training for beginner, trail and Motocross riders is also available. More than 500 riders took part in our rental and/or day training program last year.